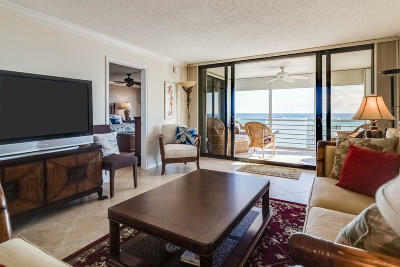 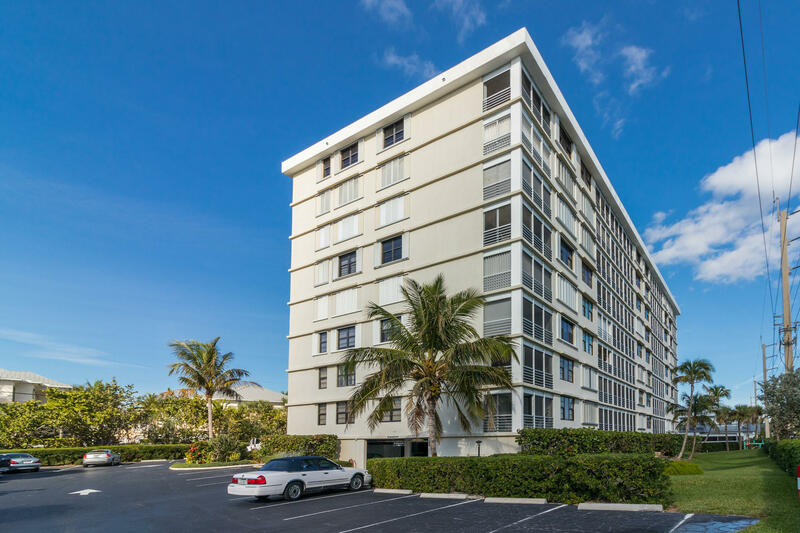 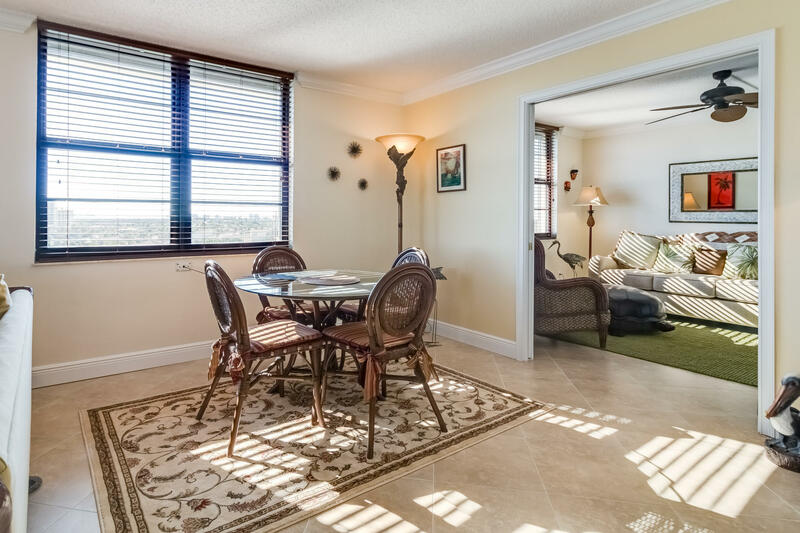 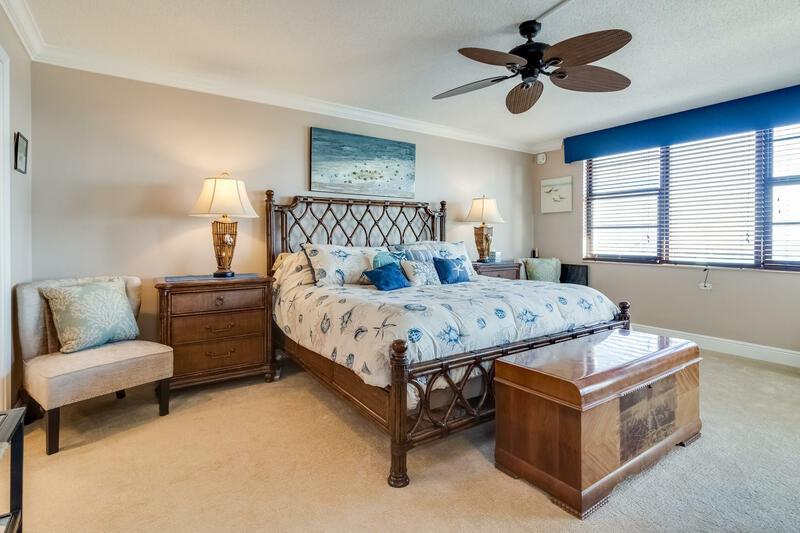 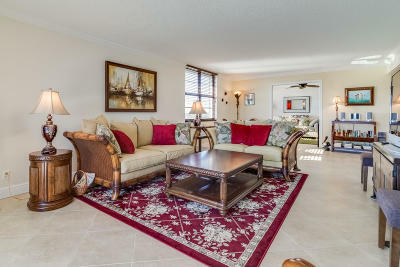 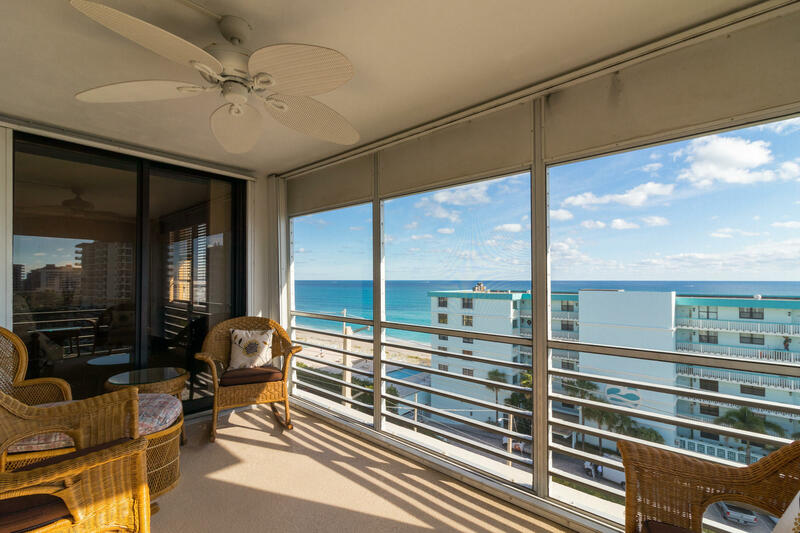 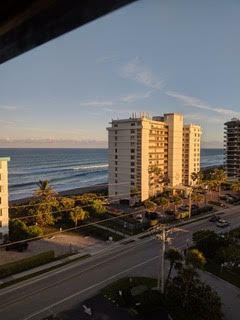 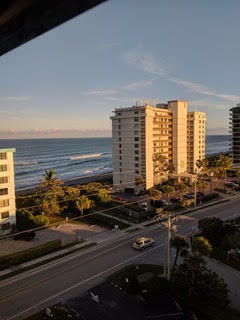 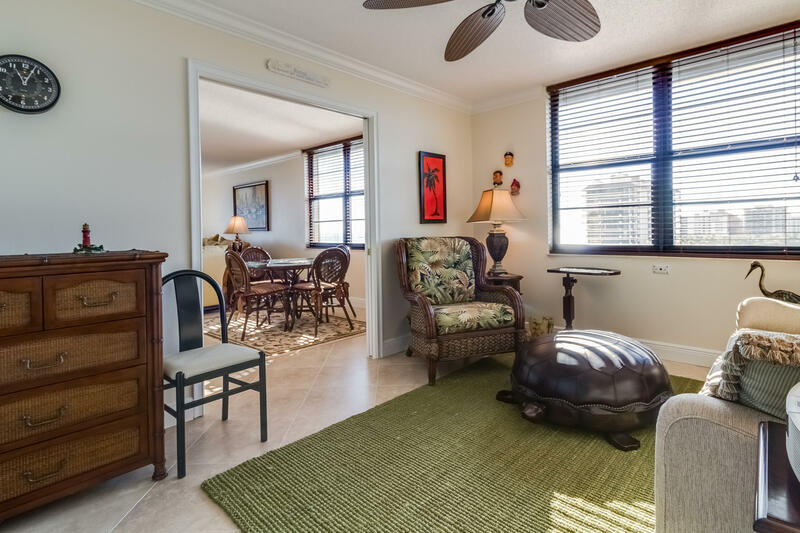 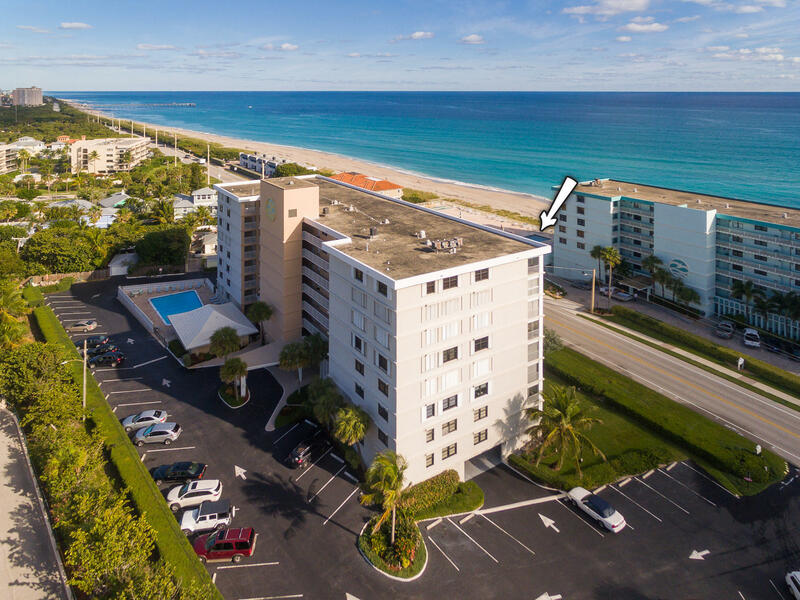 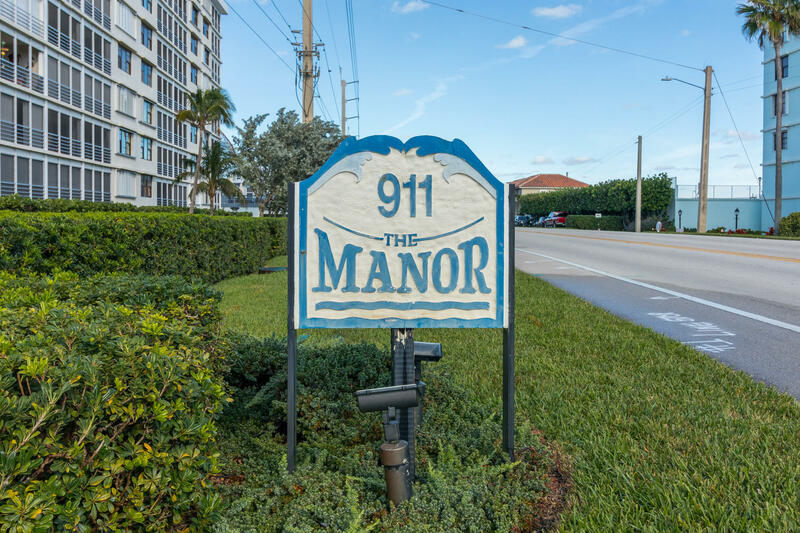 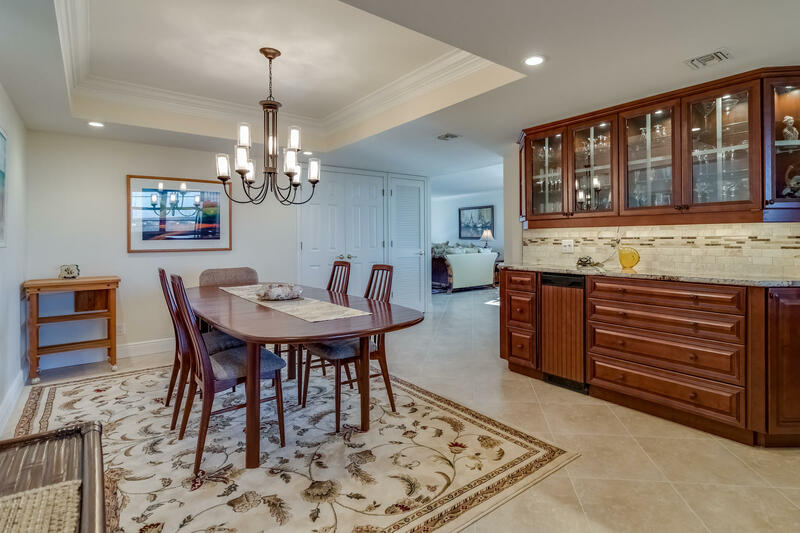 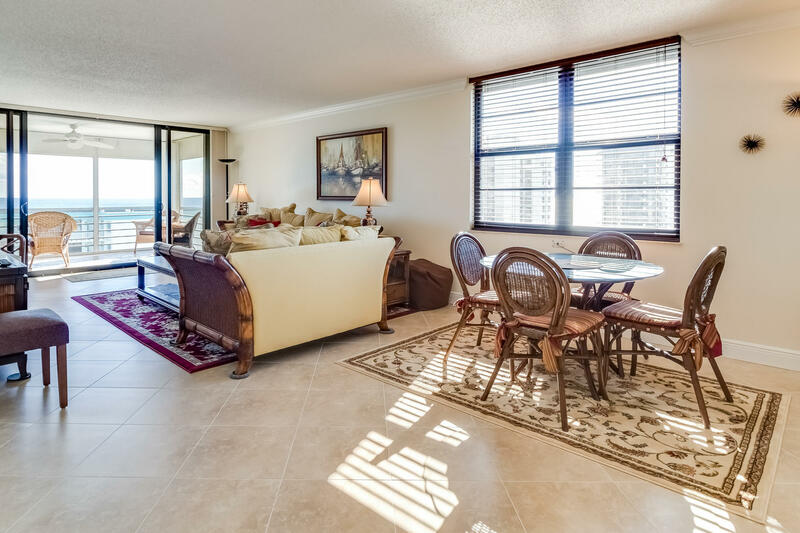 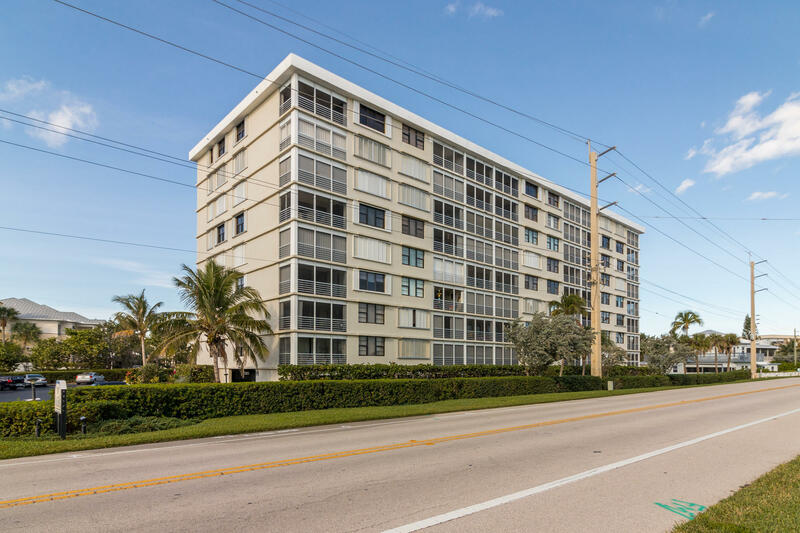 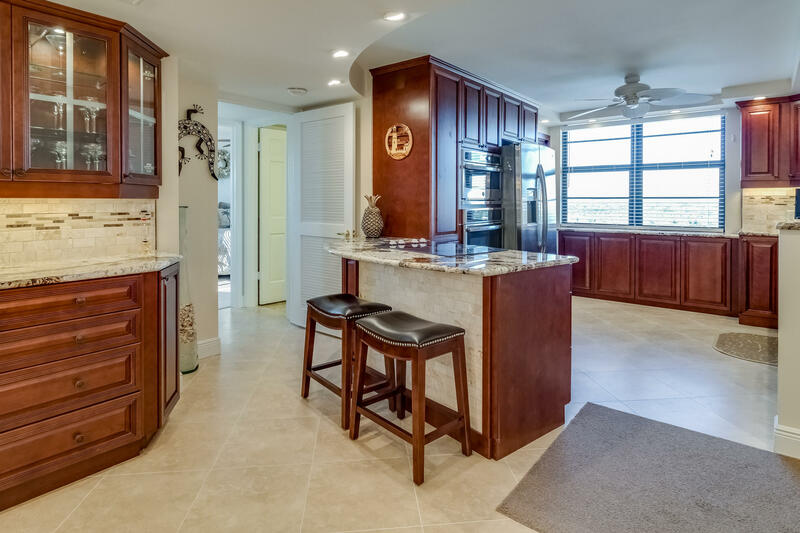 A rare opportunity to own a top-floor corner-unit condo with the sights and sounds of theAtlantic Ocean on Palm Beach County's most beautiful beach. 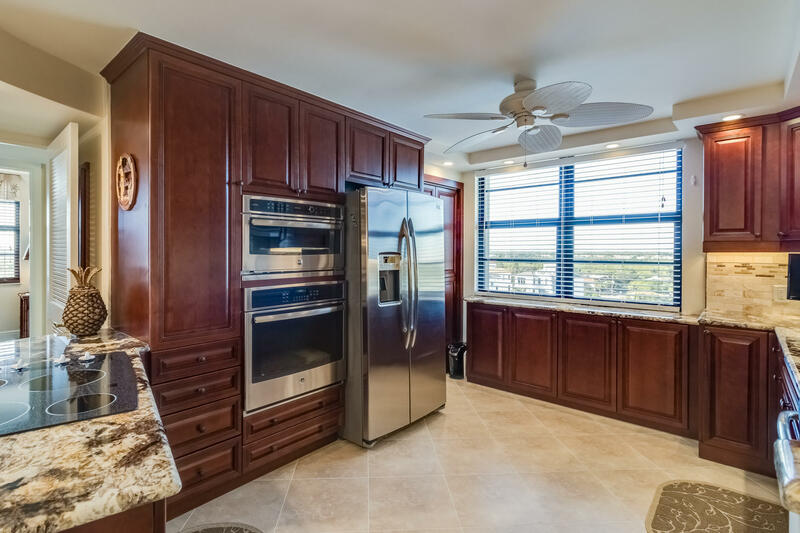 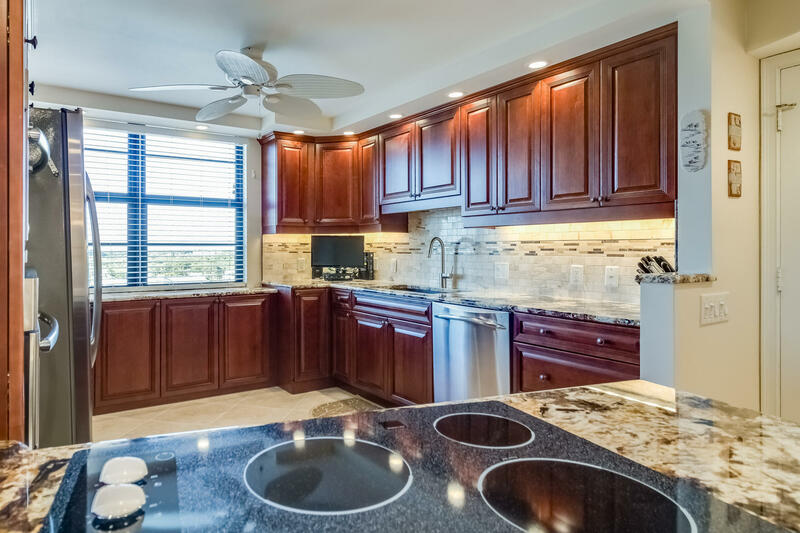 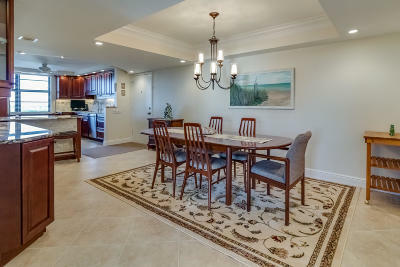 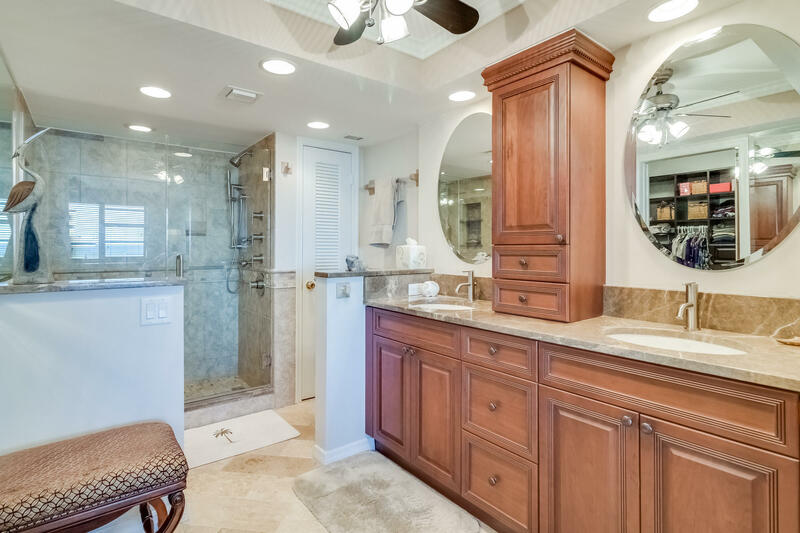 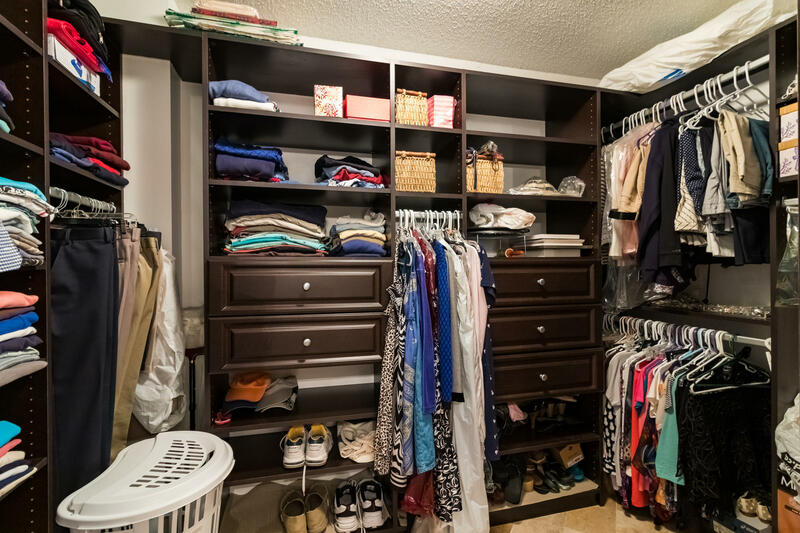 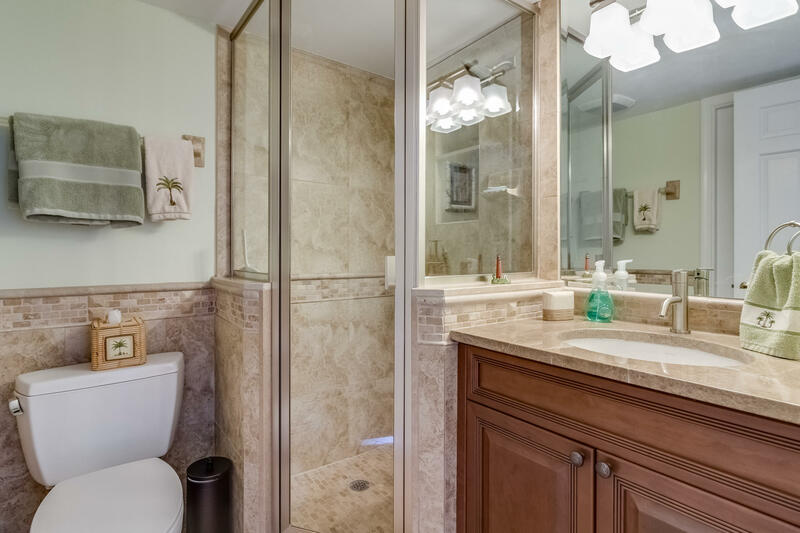 This 3BR/2BA close to 1800 square feet home has been updated from top-to-bottom in luxury and elegance, including custom designed kitchen cabinetry, African imported granite countertops, and travertine tile lined bathrooms. 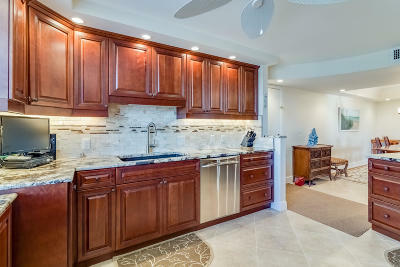 No expense was spared in renovating this space. 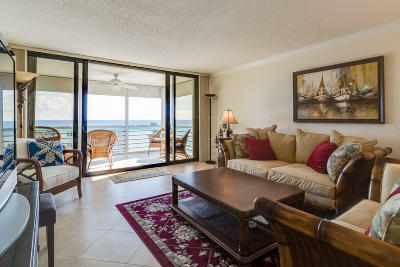 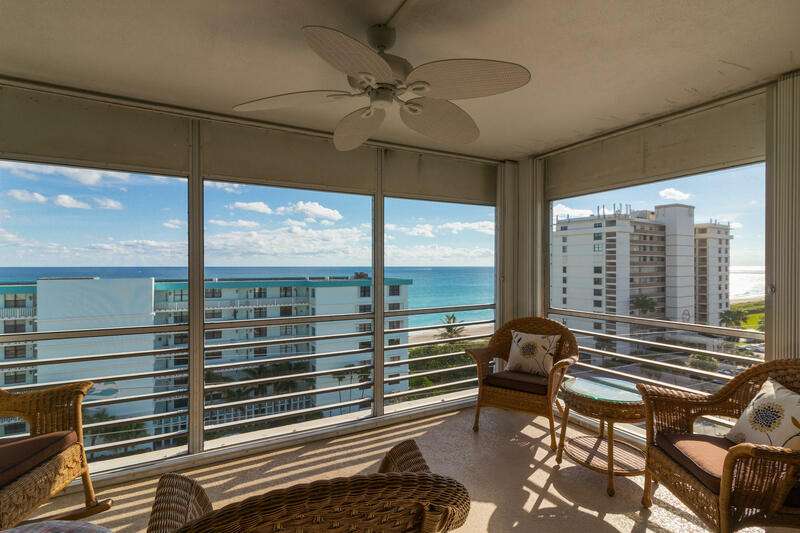 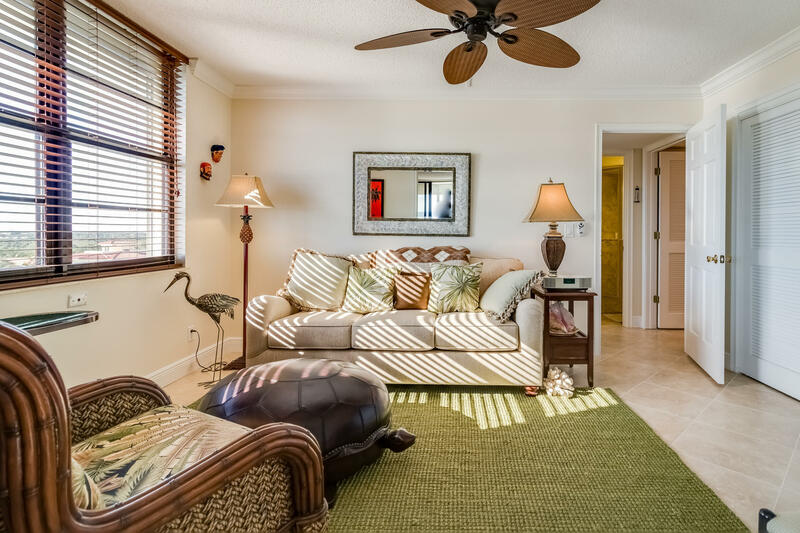 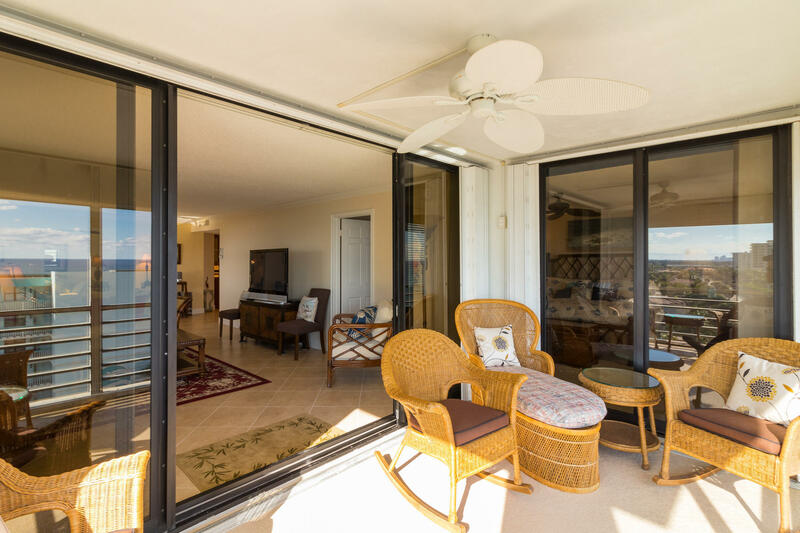 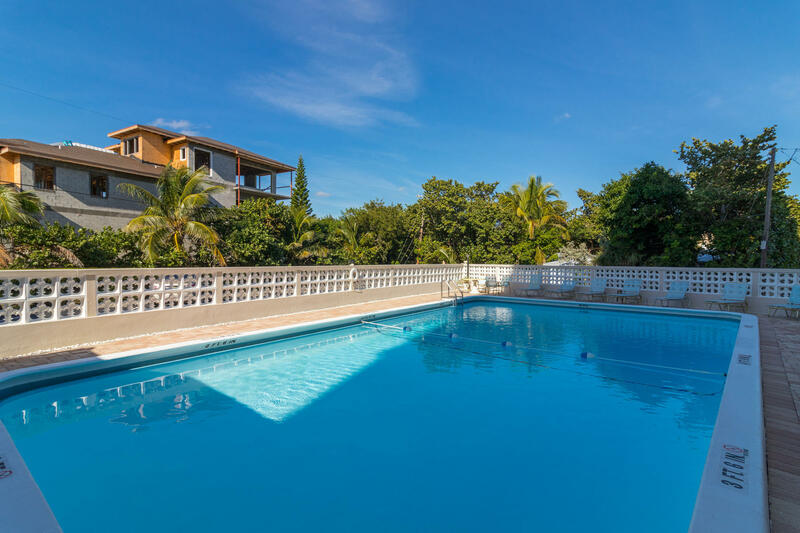 Flooded with natural light at all times of the day, you can enjoy ocean views to the east, and city and sunset views to the west, or take a few steps to your private beach access. 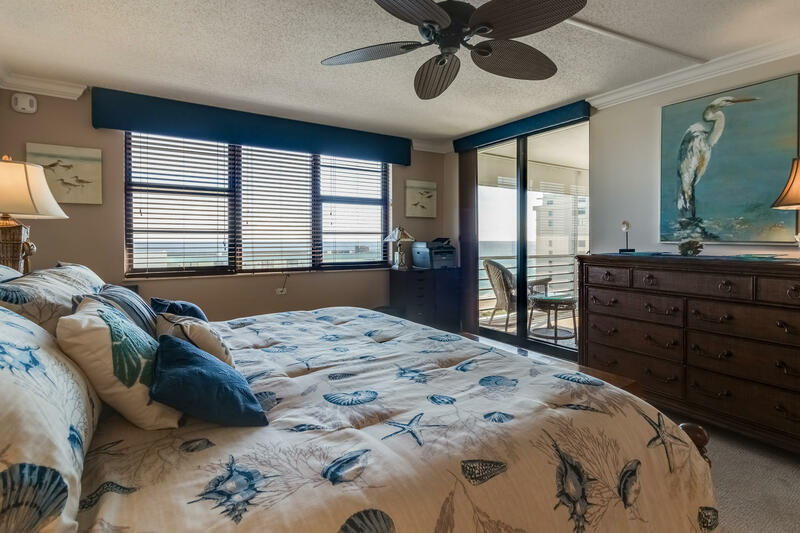 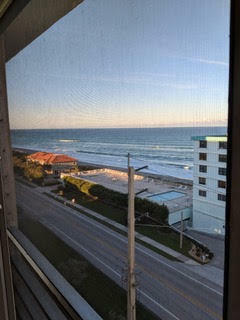 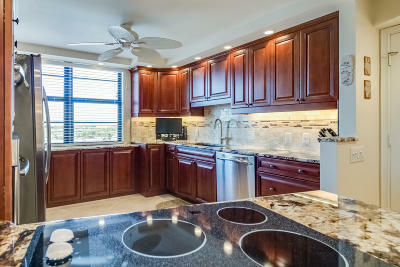 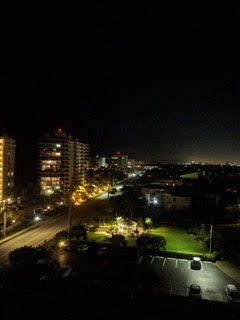 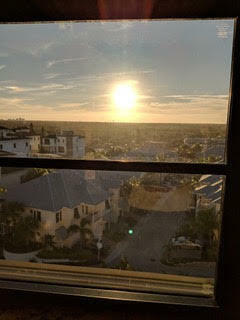 To protect this slice of heaven, this condo features hurricane impact glass, accordion shutters, and roll down shutters.